Founding The Bulfinch Group in 1994, Seth Medalie is passionate in his quest to create the leading investment and financial services firm in New England, always seeking to expand the firm’s talent and client base. He has overseen the opening of several Bulfinch Group offices in Massachusetts, Maine and New Hampshire, in addition to the firm’s 100 plus associates strong headquarters in Needham, MA. His commitment to integrity and understanding the needs of clients have been the pillars of his—and the firm’s -- success. 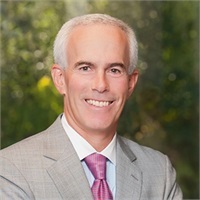 Seth has a lengthy and active tenure in the financial services industry and has received national industry recognition; he is the immediate past chair of The Guardian Life Insurance Company’s Field Advisory Board, a member of the Boston Society of Financial Services Professionals, the Boston Managers Roundtable, and the World Entrepreneurs Organization. In 2007, Seth accepted the role as Chairman of the Board of Trustees of the Beth Israel Deaconess Hospital in Needham where he oversaw a multimillion dollar renovation of the community hospital. He received a B.A. in Economics and Sociology from Colby College in 1982. He currently resides in Needham, MA with his wife Leslie and children Ryan and Caitlin.